It has been a wonderful summer so far! The weather has been beautiful and I've been spending lots of time in the yard gardening. We even made it to the beach on Wednesday - I love Seattle in the summer! With the boys out of school, and the distractions of summer, I have not been sewing as much lately. But there is a bit of Progress ~ I have mailed some bee blocks! It is so nice to be caught up! We just started round 2 of the Cocorico - the sewing machine is for Erin and the berry basket is for Melinda. The dress is for Penny in the Ringo Pie bee. 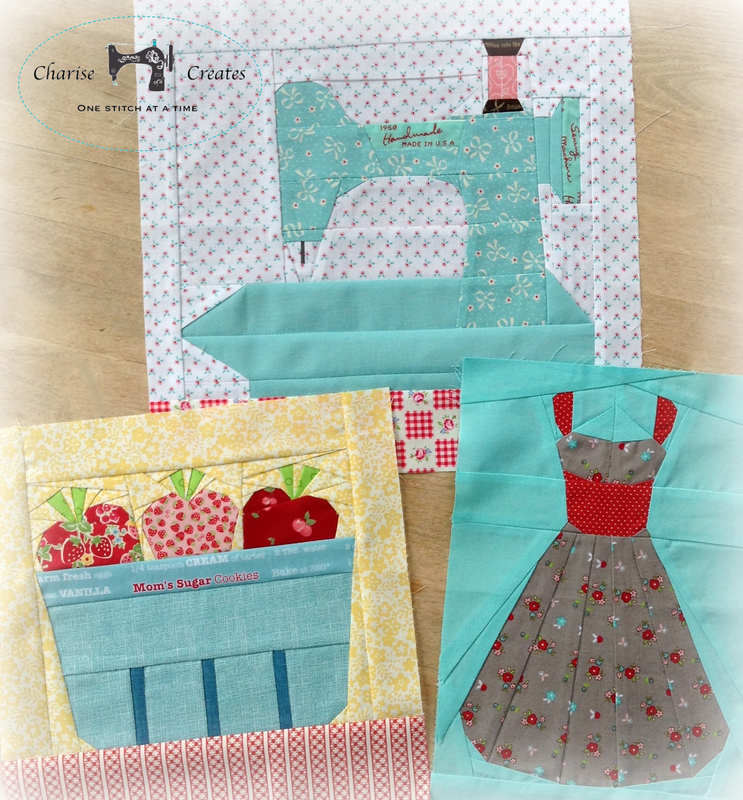 You can find patterns for the sewing machine and the strawberry basket in my Etsy and Craftsy shops! I added the small tabs to attach a shoulder strap or wrist strap. 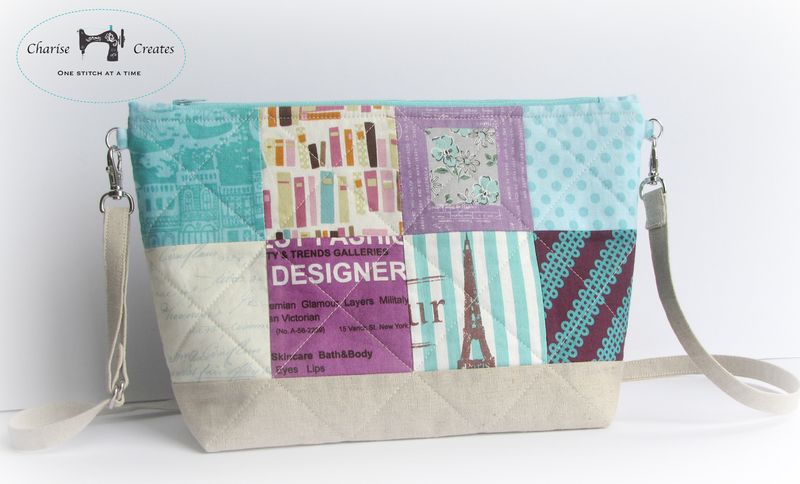 This project is a request from my mom for a smaller bag that she can use to carry her wallet for walks to nearby shopping destinations. 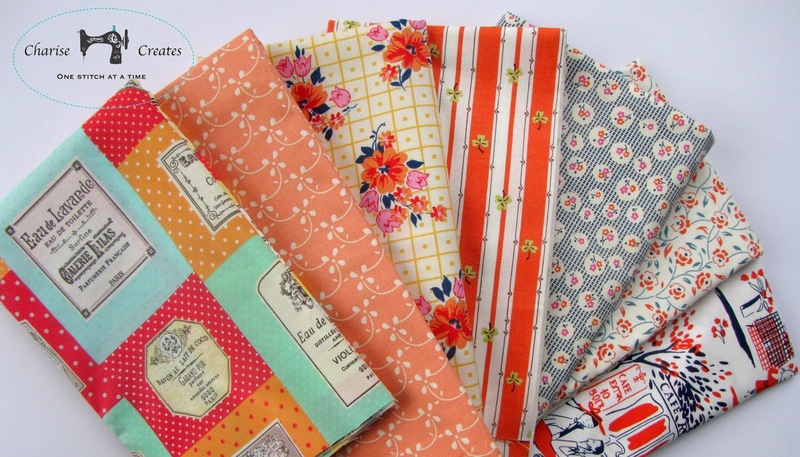 I put together this stack of fabrics while organizing my stash - they just look so yummy and summery! 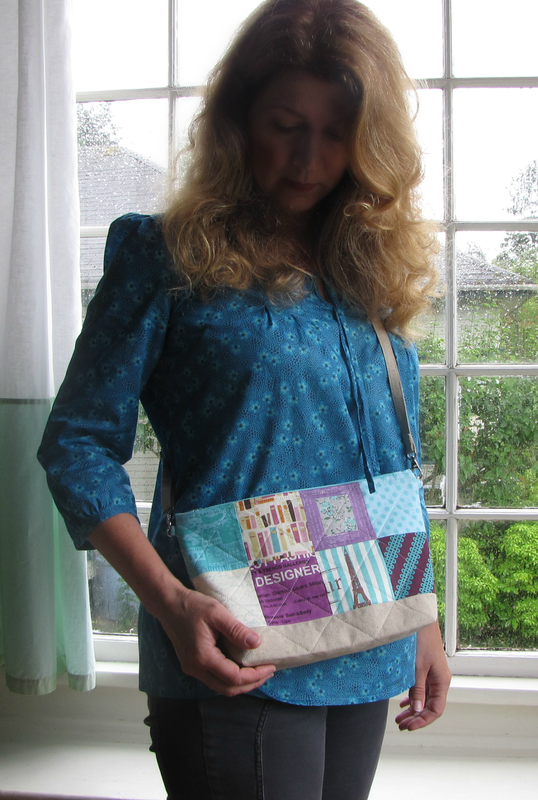 I'm thinking a parasol quilt - umbrella blocks similar to one adorning the bag I made for Stitch Magazine last Spring. Or a simpler half square triangle quilt to show off the beautiful fabrics. RJR Supreme Solids Winner - RosieGMA!